The Bulletin Brief is produced at University of Toronto Communications. It covers news, information and services that are important for staff and faculty across the university to know. Whenever possible, your submission should be of interest to staff and faculty on all three campuses. And please be sure to include a link to more information. Please share submissions for consideration by filling out the form on the Bulletin Brief website. The Bulletin Brief delivers on Mondays, Wednesdays and Fridays. If you have news, information or an event that fits the criteria outlined in "Submitting to The Bulletin Brief", we want to hear from you. Please send your submission at least one week before your preferred publication date. You can expect a response within two business days if your submission is accepted. We regret that we can’t include all submissions due to space limitations and volume across all three campuses. The publication is on break in July and August and will resume its regular publishing schedule in September. Four outstanding faculty have been named University Professor − the highest academic rank awarded by the University of Toronto, the provost announced Friday. Professors Cheryl Misak and Morris Moscovitch from the Faculty of Arts & Science and Professor Brenda Andrews and Professor Mary Gospodarowicz from the Faculty of Medicine were recognized for their scholarly achievement and pre-eminence in their field of knowledge. A professor of philosophy, Misak is also the former provost of the University of Toronto. Her research spans American pragmatism, the history of analytic philosophy, moral and political philosophy and philosophy of medicine. The author of many papers and five books, Misak has also been a Rhodes Scholar, a Humboldt Research Fellow, a Visiting Professor of Philosophy at New York University, and a Visiting Fellow at both St. John's College, Cambridge and Trinity College, Cambridge. She has been the recipient of a Humboldt Research Prize and a Guggenheim Prize. Misak was made a Fellow of the Royal Society of Canada in 2001. “By recognizing Cheryl Misak as a University Professor, we’re catching up with an international academic community that has honoured her scholarship time and again,” said Professor David Cameron, dean of the Faculty of Arts & Science. A professor of psychology, Moscovitch has spent most of his career at the University of Toronto. He is best known for his work on the cognitive and brain basis of memory and has also made important contributions to research on face-recognition, attention, and hemispheric specialization. Highly regarded for his teaching and mentorship as well as his research, he has been the recipient of the Hebb Award, the William James Award, and CNS Award and holds the Max and Gianna Glassman Chair in Neuropsychology and Aging. He has published more than 300 papers, edited five books, and served as co-editor-in chief of Neuropsychologia. “Professor Moscovitch’s work has led to improved understanding of the different types of memories that people form, as well as the impact of damage to specific regions of the brain.,” Cameron said. “He is known for being especially gracious in crediting much of his research success to the more than 70 graduate students and postdoctoral fellows he has supervised over his career. They, too, have benefitted directly from his wisdom. A professor of molecular genetics, Dr. Andrews is the director of the Donnelly Centre for Cellular and Biomolecular Research and an alumna who completed her PhD in medical biophysics at U of T. Dr. Andrews’s current research interests include analysis of genetic interaction networks in budding yeast and mammalian cells. She sits on many editorial and advisory boards and is the founding editor-in-chief of the journal Genes|Genomes|Genetics, an open access journal of the Genetics Society of America. Andrews is an elected Fellow of the Royal Society of Canada, the American Association for the Advancement of Science and the American Academy of Microbiology. “As an accomplished researcher and academic leader, Professor Andrews is advancing genomic research in Canada, said Professor Trevor Young, dean of the Faculty of Medicine. “Her work, often in close collaboration with colleague Professor Charles Boone, has used yeast modeling to unlock the complex interaction between genes to provide us with a stronger understanding of human biology. A professor with the department of radiation oncology, Gospodarowicz is also the medical director of the Princess Margaret Cancer Centre at the University Health Network and regional vice president of Cancer Care Ontario. Gospodarowicz’s research focuses on clinical trials evaluating radiation therapy in lymphomas and genitourinary (GU) cancers, image-guided precision radiotherapy, and cancer survivorship. Her clinical practice involves lymphomas and GU cancers and she has authored more than 350 peer-reviewed articles and book chapters. Gospodarowicz has been the recipient of such awards as the Gordon Richards Lectureship, the May Cohen Award for Women Mentors, the Janeway Medal, and the ESTRO Lifetime Achievement Award. In 2015, she was appointed Officer of the Order of Canada. “Dr. Gospodarowicz’s tireless efforts to fight cancer are known around the world,” Young said. “As the Chief of the Radiation Medicine Program at Princess Margaret Hospital/University Health Network, she is leading a team that is providing outstanding care to cancer patients in our region. 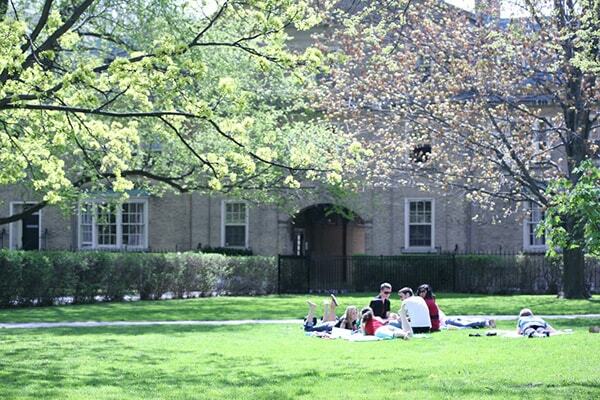 See the complete list of University Professors at U of T.